That’s right, the infamous Mr. Coffee, or maybe you dread going home to visit your parents or relatives and dealing with the swill that can come out of these things. 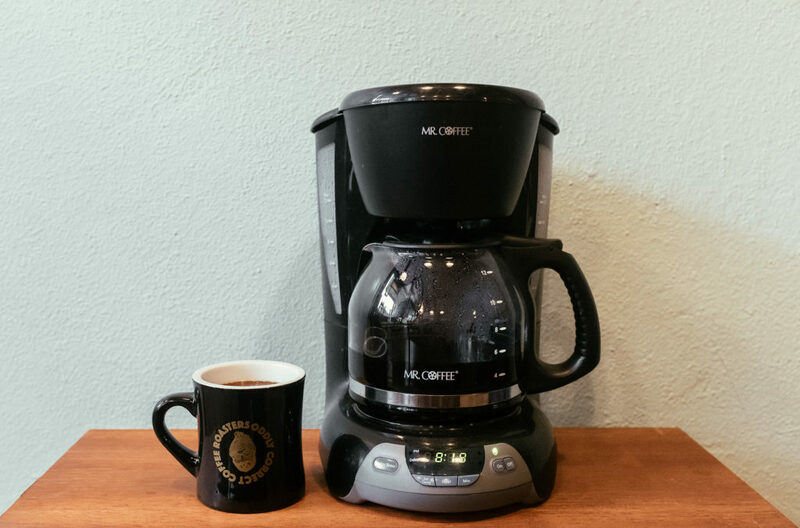 Ether way, chances are you wish the machine sitting on the kitchen counter made coffee that tastes more like what you’ve had in your favorite shop. 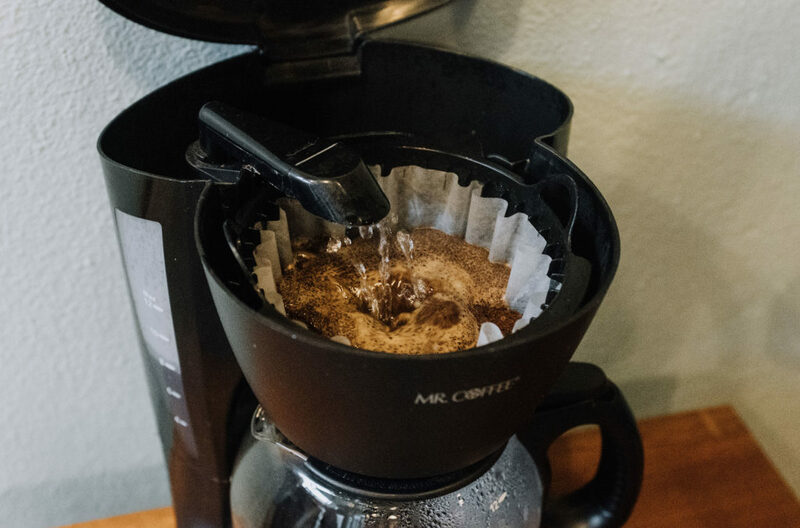 Well, I’m here to help you get A LOT closer to that with a couple tips to make your old auto-drip coffee pot produce great tasting coffee! 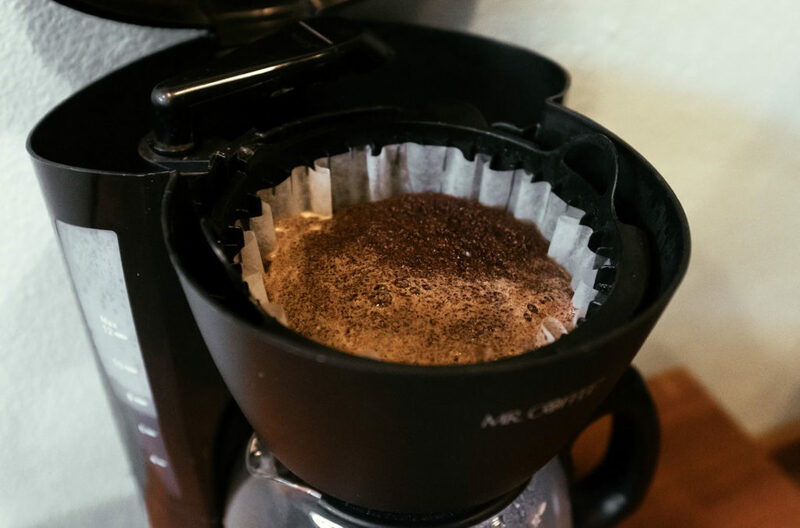 The first step to great-tasting coffee is getting all the old grime and nastiness out of that coffee maker. I recommend using Urnex Cleancaf and running it through your machine several times, followed by a few cycles with clean water. Once you get your machine sparkling inside and out, you can easily keep it that way by rinsing the basket immediately after each use. Don’t make too much, and use enough coffee. To get a great tasting brew, you should be shooting for a coffee to water ratio of roughly 1:15. Most auto-drip machines aren’t made to accommodate this at full volume (if you brewed a full 12 “cup” pot with enough grounds, they’d start spilling out over the basket right away!) so its best to only fill to about the 8 cup mark on a standard 12 cup machine. If you have a smaller or larger brewer, use 2/3 full as a rule of thumb. The “cup” measurement on coffee makers is actually only 6 ounces. 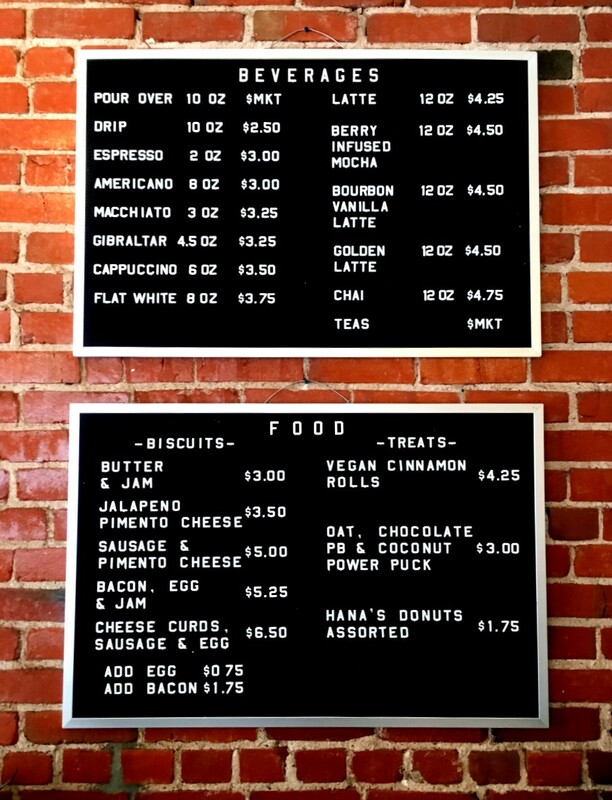 So for every cup, you’re going to need about 8.5 grams of coffee. In a standard 12 cup Mr Coffee, I used 70 grams of medium-coarse ground coffee to get a great tasting brew. To extract all the best flavors from coffee, water needs to be between 195 and 205 degrees Fahrenheit. 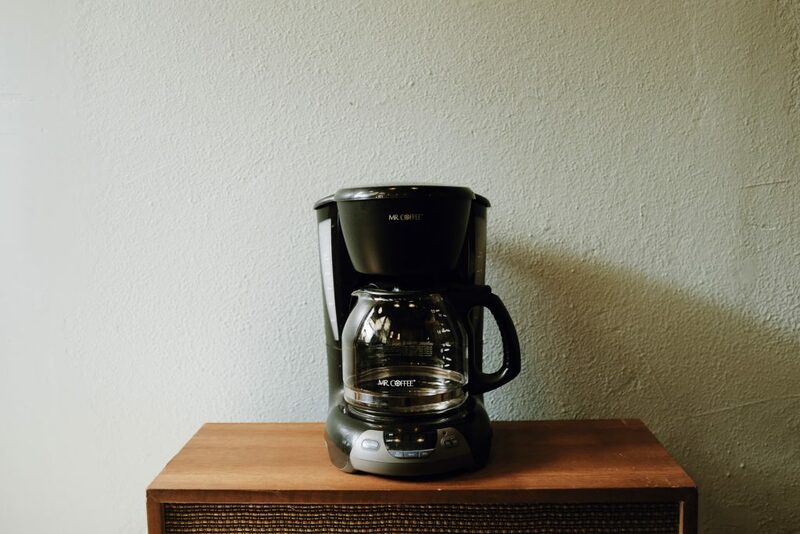 One of the major problems with home auto-drip machines is that they only get water up to about 180 degrees or so, then heat the coffee AFTER it has been brewed on a hot plate. The solution: run a cycle with just water first, then use THAT water to brew your coffee. 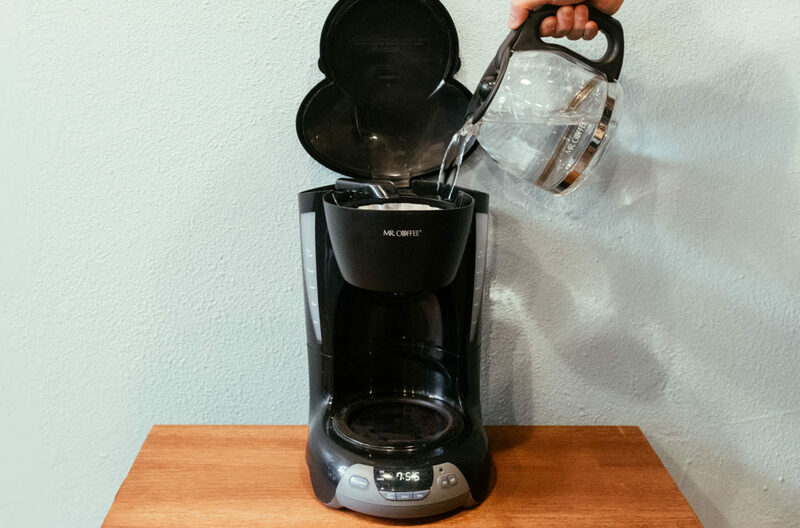 This gets the water up to 200 degrees… perfect for extracting everything you love out of the amazing coffee you put in there. You can even set this up before-hand if your brewer has a timer… fill the reservoir to just above the 8 cup mark, throw a filter in the basket and set the time for when you’ll wake up. The hot water will be sitting in the carafe, ready to go for your morning brew. The coffee will puff up as CO2 is released. Turn the brewer off, wait about 20 seconds, and turn it back on to begin your brew. 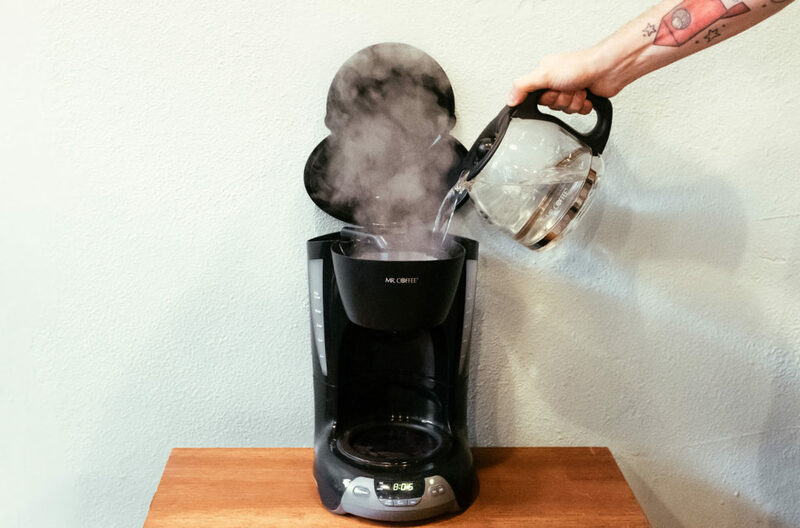 Letting that gas get out of the way will help that fresh coffee get all of its delicious flavors into the cup. 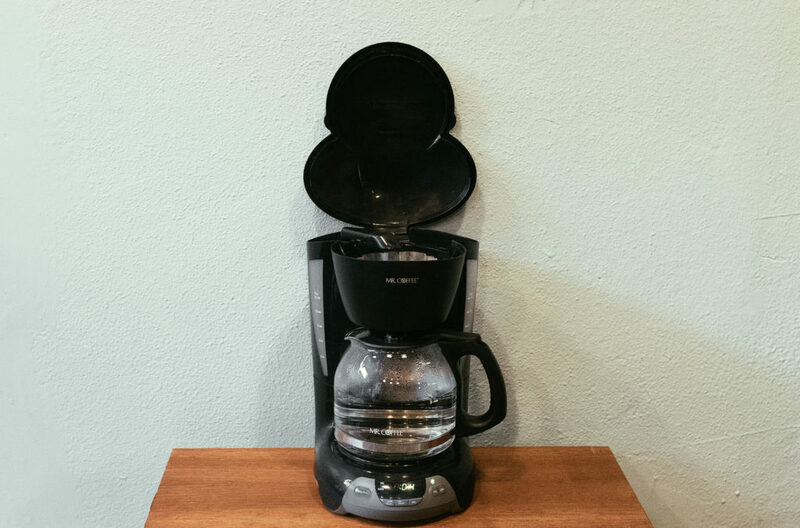 Most home coffee makers have a hot plate where a glass carafe sits and stays hot as long as you leave it there. While it may be nice to have hot coffee available all morning/day, keeping coffee heated over a long period of time will break down pleasant-tasting acidity into bitter and acrid flavors. Your taste buds will thank you for just making enough to drink right now, or keeping extra in a thermal carafe or thermos until you drink it. Of course if you put stale, poorly roasted low quality coffee into your brewer you’re not going to get something amazing out of it! Find yourself some fresh, high quality coffee from a source you can trust like Oddly Correct. Start with great ingredients and find a process that works using the tips above, and you’ll be pleased with the outcome for sure! If you need a great coffee to try out these tips, I’d recommend one of our latest natural process coffees … They’re consistently fruity and sweet and work well in a drip brew setting. Take these tips to heart, and I promise you’ll be experiencing more from your morning cup! As always, if you have additional questions or need guidance for your brewer, email me anytime and I’ll be happy to help!